This entry is part 2 of 7 in the series Cycling in Belgium. 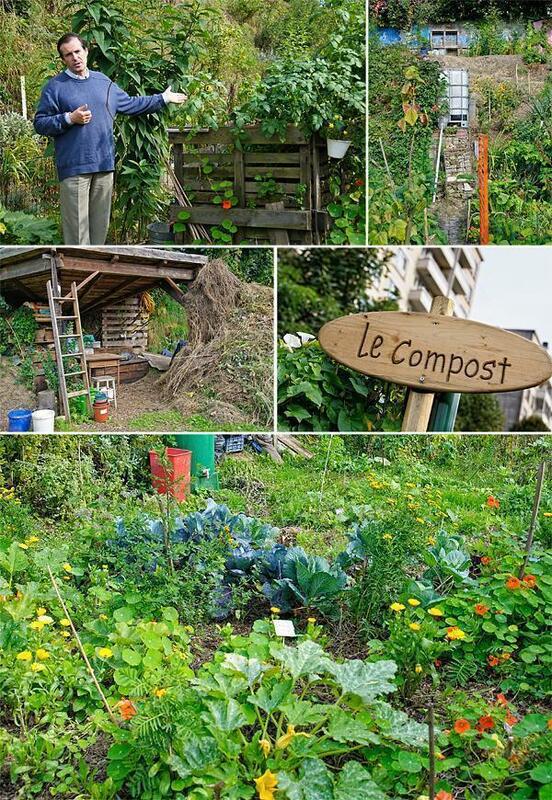 Last fall, I discovered a ‘greener’ side to Brussels, with a Pro Velo bicycle tour to a community garden in Etterbeek. 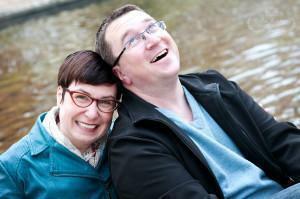 The garden was another of Brussels’ hidden gems and, the best part – I didn’t die. Living in Flanders, when we first moved to Belgium, I pictured myself cycling around my village car-free and carefree. After a few wobbly attempts on a donated bicycle, I gave up and the bike sat gathering dust in our garage. 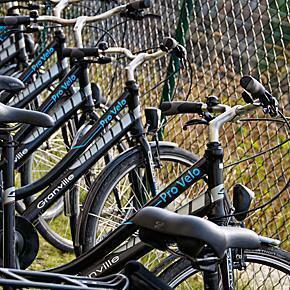 When we moved into Brussels, I contemplated trying out the Villo bikes – for all of about two seconds. With my lack of cycling confidence and the aggression of Brussels drivers, I decided I was safer on the sidewalk. In fact, I vowed I would never ride a bicycle in Brussels. Don’t get me wrong; I think there should be much more cycling in Brussels. I admire my friends who have given up their cars in favour of pedal power. If the city invested more money in cycling infrastructure, I would be thrilled and would gladly consider cycling as my means of transportation. But, as it stood last summer, I was convinced if I rode a bike in the city, I would die. I should have learned by now to never say ‘never’, when it comes to Belgium. Last September, I was invited by Brussels Wallonia Tourism to take part in a cycle tour of the city, with cycle-hire company Pro Velo. In addition to bicycle rentals, Pro Velo offers a series of city tours, from March to October, through different areas of the city. There are architecture tours, garden tours, ‘secret’ Brussels tours and even a beer and Brasserie tour. So, despite my fears of imminent death, I did ride a bike, with a group of a dozen other journalists, and I’m alive to tell the tale. 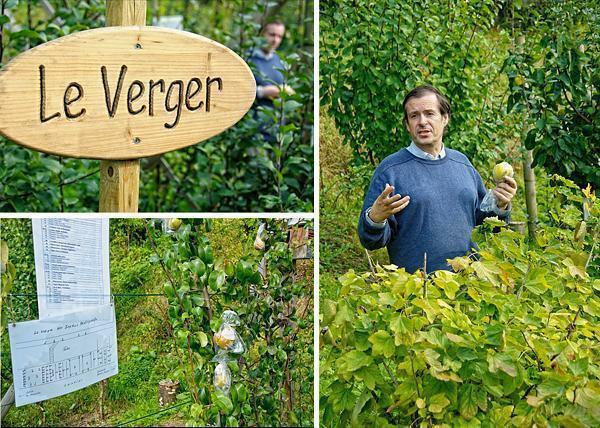 Not only that, we uncovered one of Brussels hidden gems – a city garden that is providing food and skills to families in the community, on otherwise unusable land. A few sights from my Pro Velo bicycle tour, including Abbaye de la Cambre. 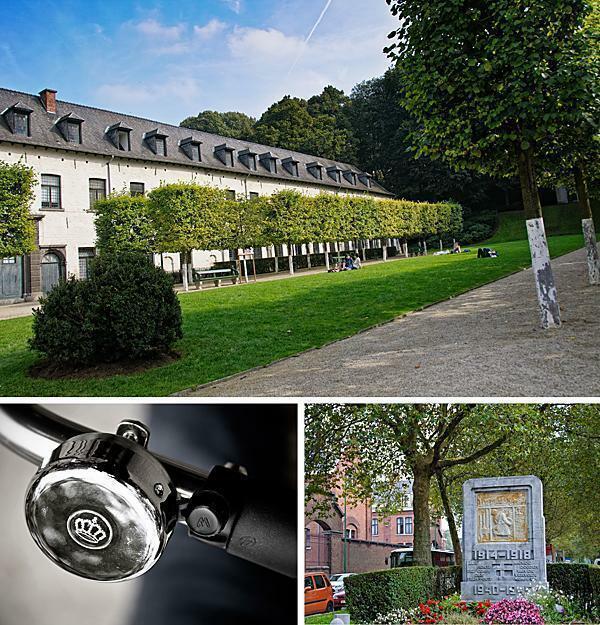 Our cycle tour took us past several of Brussels architectural gems and through the Abbaye de la Cambre. We ended up parking our bikes between two apartment buildings in Etterbeek; (Avenue Nouvelle 171 and 173 to be exact). There we discovered a beautiful community garden project. 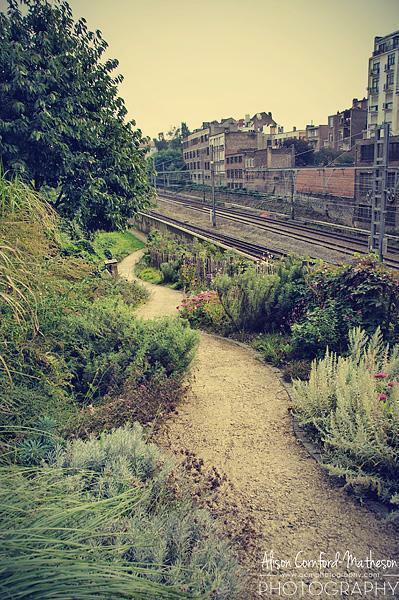 The Jardins Participatifs d’Etterbeek sit on a 2700m² strip of land along the railway track. The goal of the garden is to demonstrate how a community can use wasted land in an ecological and sustainable way. Anyone can visit the garden and a citizen needs only to express interest in working and learning, to take part in the project. Because of the long narrow nature of the land, the garden is divided into many different sections. A beautiful garden on otherwise wasted land in Etterbeek. It begins with a winding path down through perennial flower beds. Here you will find benches and cozy nooks where you can sit and enjoy the colourful surroundings. Flowers and shady benches nestled between the railway and apartment blocks. Then you pass into the productive part of the garden. Here citizens can learn about composting, rain water recovery, and growing vegetables. An educational garden – here you can learn about composting, rainwater recycling, and growing your own produce. 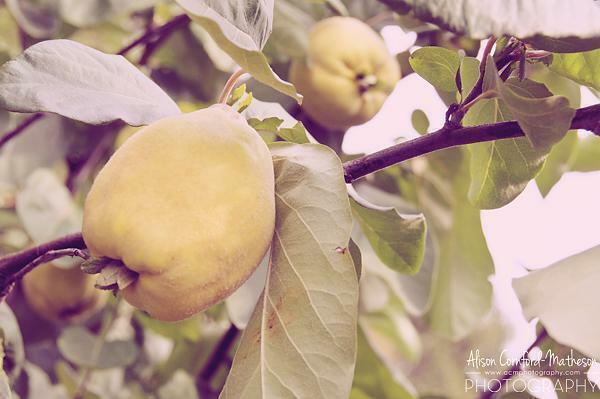 From the veggie patch, you pass into an orchard where heirloom varieties which once grew in this area in abundance are being preserved. The fruits are carefully tracked and noted so these important plants won’t be lost to Brussels forever. In the orchard our guide explains how the gardeners keep track of heirloom varieties. Beyond the orchard is a small pond and water garden, home to plenty of frogs. Then you pass into the bee hive area where several active colonies pollinate the garden and produce honey. For those with an interest in apiculture, regular courses in bee-keeping are offered here. The Jardins Participatifs d’Etterbeek is maintained and sponsored by a wide range of organizations ranging from social projects to environmental groups. You can find a full list of participants on the official website (F/NL only). 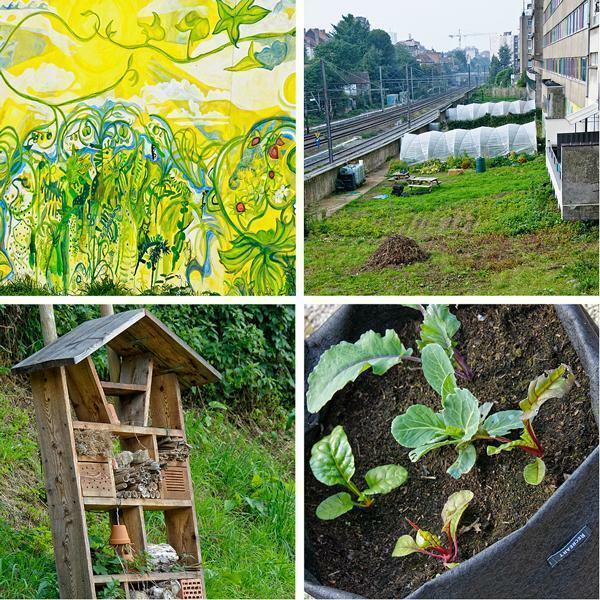 From housing for bugs to housing for people, the Etterbeek community garden has something for everyone. After our visit to the garden, we returned to the Pro Velo base on Rue de Londres, accident free. If you’re nervous about cycling in Brussels, as I am, a Pro Velo tour is a great way to give it a try. Our guide stuck to quieter streets and ‘bike friendly’ areas and I felt safe and gained confidence over the duration of the tour. Best of all, I was able to visit yet another green corner of Brussels, not many people know about and, to me, that’s what living in Belgium is all about. Visit their website, for more information on Pro Velo bicycle rentals and bike tours. Thank you to Brussels Wallonia Tourism for inviting me to be part of their Sustainable Tourism trip and allowing me, as always, to write my own opinions of our activities.